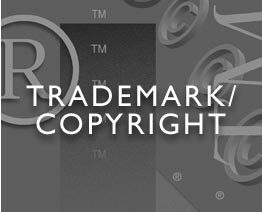 Trademarks and copyrights are valuable property rights which are often overlooked in their importance. At Medlen & Carroll, LLP, we make sure our clients understand how to develop these rights to their fullest potential. With the ever-increasing popularity of the Internet, trademarks and copyrights involve areas of law that are evolving rapidly, and it is important to have counsel that keeps up with the changes and new opportunities. Trademarks can be among a company's most valuable assets. They can include brand names, designs, product shapes, slogans, and more. Trademarks globally identify the source of a particular product or service and serve to uniquely distinguish a company's product from all others. Trademarks also enable a company to build goodwill, because consumers grow to expect a certain level of quality from products that bear a particular trademark even if they do not know the name of the underlying company. The value of this goodwill cannot be overestimated. Unlike patents and copyrights, a properly maintained trademark can remain in force forever. In the United States, trademark rights are based upon use of the mark, not registration of the mark. In other words, one may not secure trademark rights until the mark is actually used in connection with the public distribution of the goods or services. Federal "intent-to-use" applications now allow one to begin the registration process during the product development period, although registration will not be complete until the mark is in use. In many foreign countries, trademark rights are obtained only by registration. Unlike the U.S., many countries of the world allow, and some even require, registration of trademarks before use has actually begun. It is therefore important for a company to evaluate the potential foreign market for its goods or services so as to protect its trademark in those countries. It is especially important for a company to protect its mark in foreign jurisdictions where counterfeiters abound. Medlen & Carroll, LLP's role regarding trademarks is three-fold. First, we help our clients determine whether an intended mark is a suitable trademark. We do this by verifying that the intended mark meets the statutory requirements, and by searching public records to determine if there are other users of similar marks. Clients should make this important determination before investing money in advertising, collateral materials and labeling. Second, we help our clients obtain federal, state and/or foreign registrations for their marks. Though registration is not required to develop common law trademark rights, it provides certain beneficial statutory rights. We can assist in determining the scope of protection available for a mark. Third, we help our clients aggressively protect their trademarks against subsequent infringers in both domestic and foreign markets through litigation or licensing. Such aggressive protection is required to maintain rights in the mark, and serves to protect the goodwill obtained through use of the mark. Copyright law protects the original writings of an author. The word "writings" has broad meaning and includes any fixed, tangible expression such as books, recordings, plays, films, software, photographs, images, fabric designs, sculptures, etc. A copyright is secured automatically when the work is created in fixed form and runs for a prescribed period of time. Federal registration is not required. However, there are definite advantages to registration, such as the right to sue another party for infringement in federal court. Copyright is a property right that can develop enormous value through use or licensing, and should be aggressively protected as a valuable asset.